Hot on the heels of the move of loaned Birkenhead 20 from the Wirral to Rigby Road depot, Scotts made the short journey to Little Singleton to collect Centenary 645. 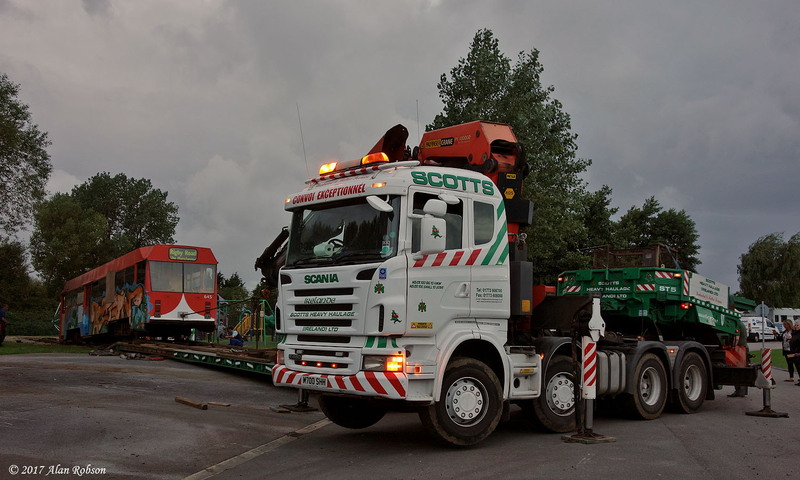 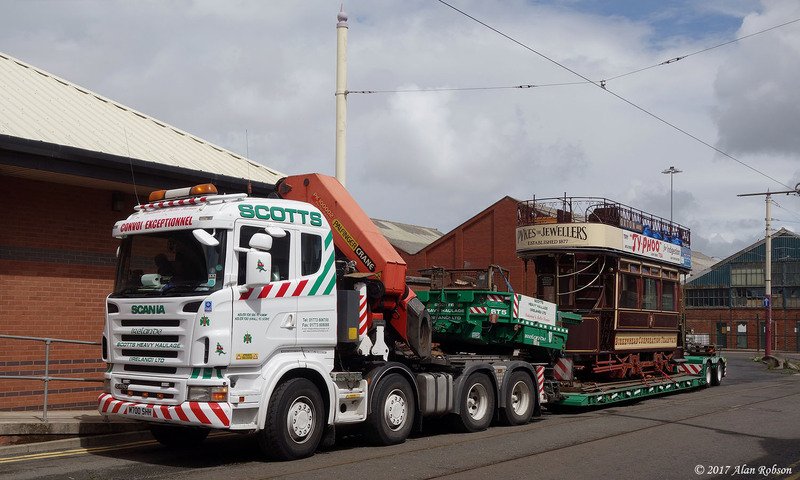 It was shortly after 4.00pm before Scotts Heavy Haulage arrived at Windy Harbour Caravan Park to collect 645, and as it transpired it would be a long and protracted procedure recovering the Centenary Car from the caravan site. 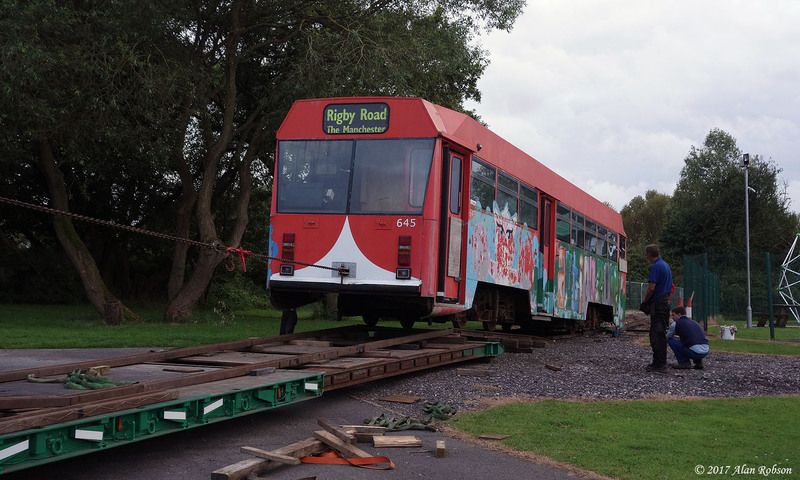 On measuring both the tram and the trailer, it was discovered that the latter was fractionally too short to load 645 onto its flat bed. 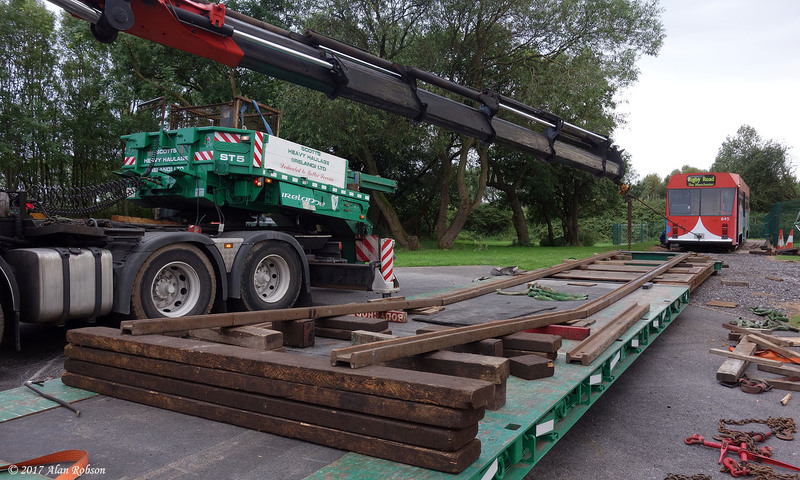 To overcome the slight hitch it was decided to construct a sloping rail ramp on the trailer bed so that the end of the tram could be positioned above the low loader's rear wheels, thus resolving the problem. After a long and tiring loading process, 645 was finally chained down to the low loader late on the Thursday evening, eventually being unloaded back in Blackpool some time after 1.00am the next morning! 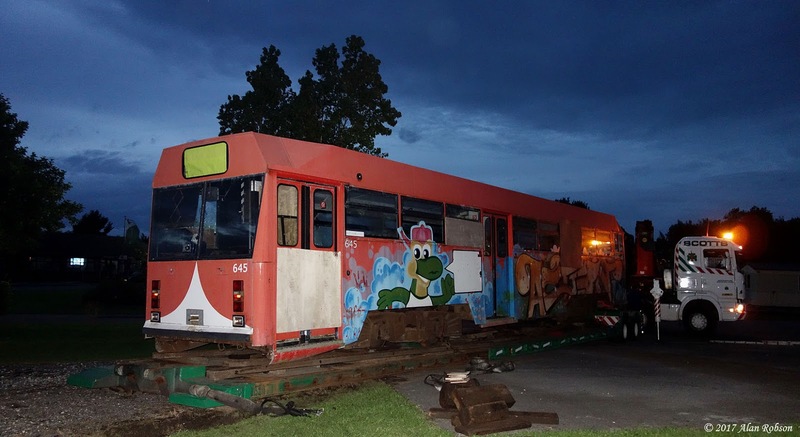 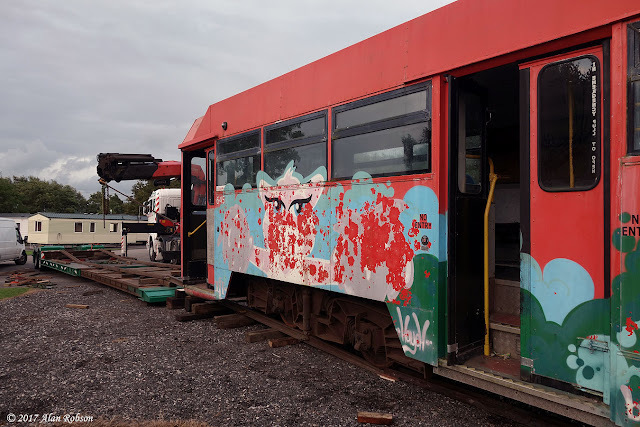 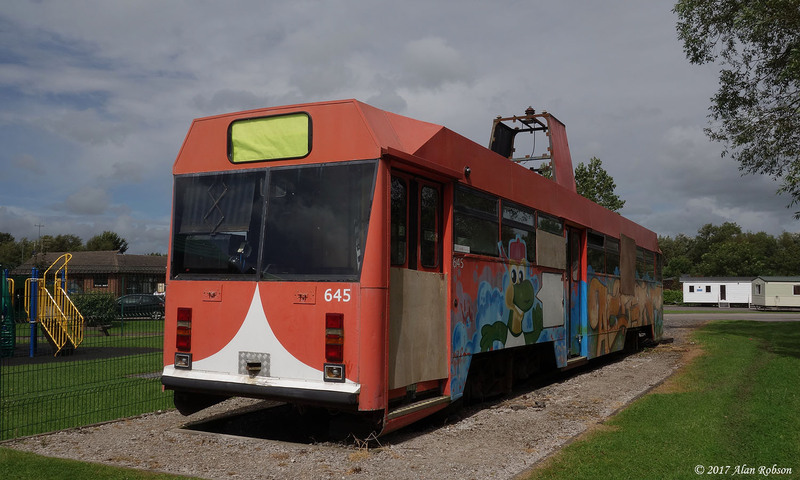 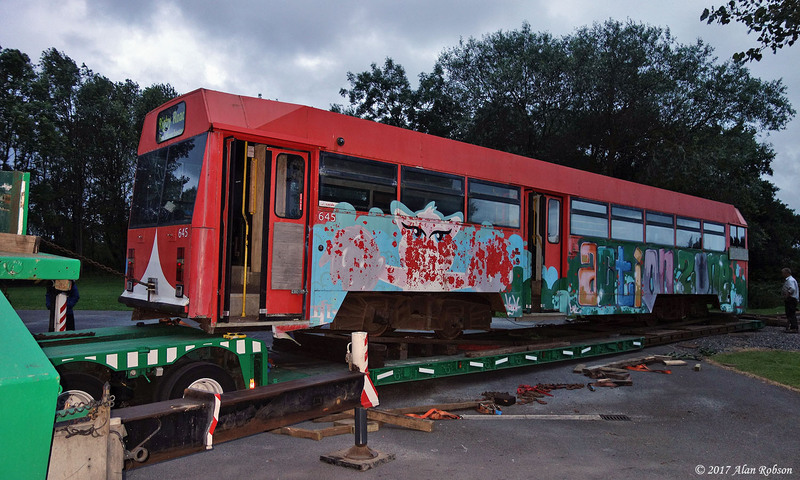 The ultimate plan is to restore 645 back to operational condition for use in the heritage fleet, this tram carrying the final incarnation of the Centenary fleet modifications. 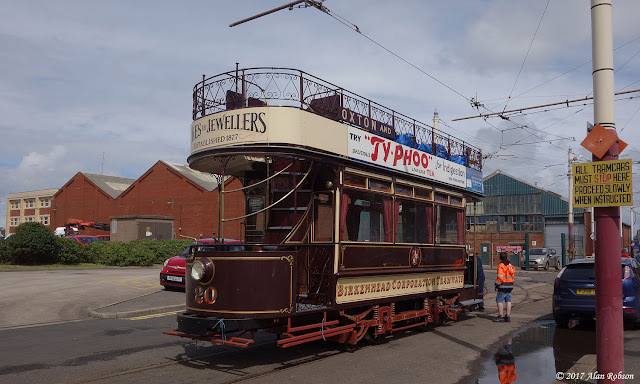 1900 Milnes built Birkenhead open-top tram 20 arrived in Blackpool on 27th July. 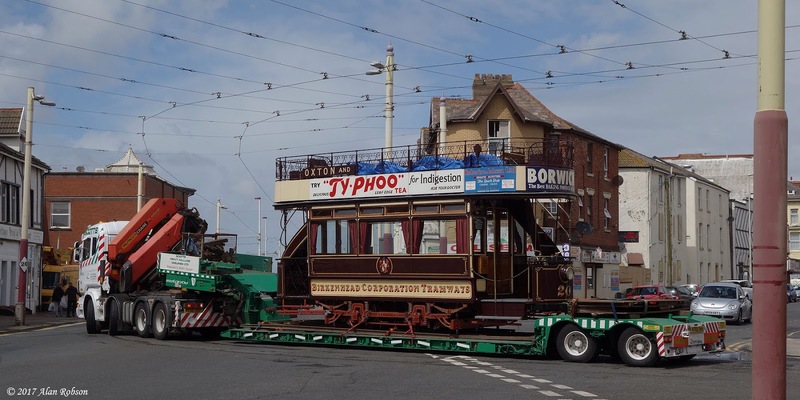 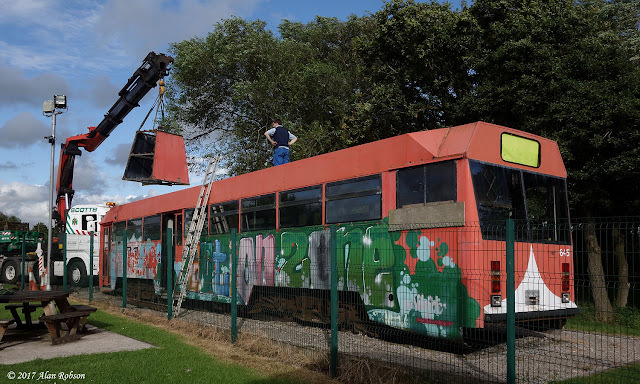 The tram had been transported from its home on the Wirral Tramway to Blackpool by Scotts Heavy Haulage, arriving in the resort shortly after Thursday lunchtime. Birkenhead 20 is due to spend a year operating alongside the heritage fleet at Blackpool before returning to the Wirral. 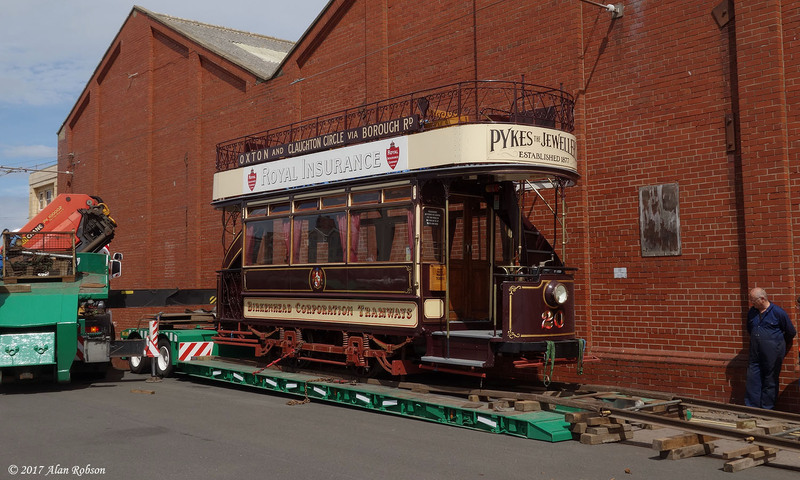 During its period of loan it is planned that remedial work will be undertaken on the trams tyres. 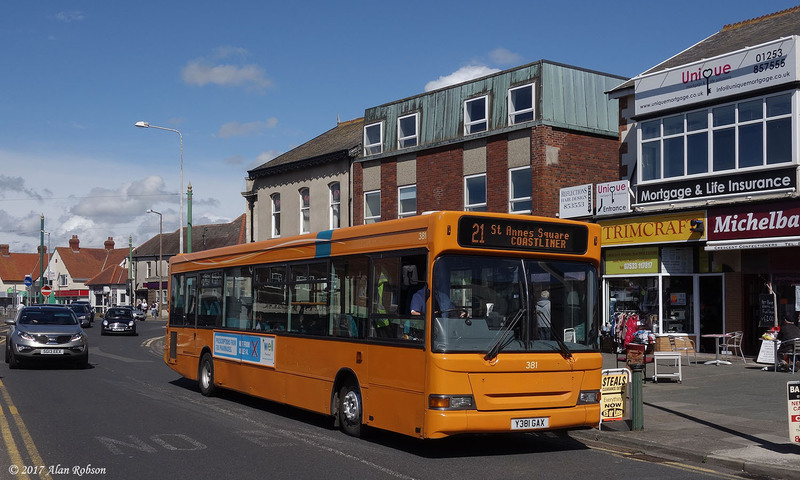 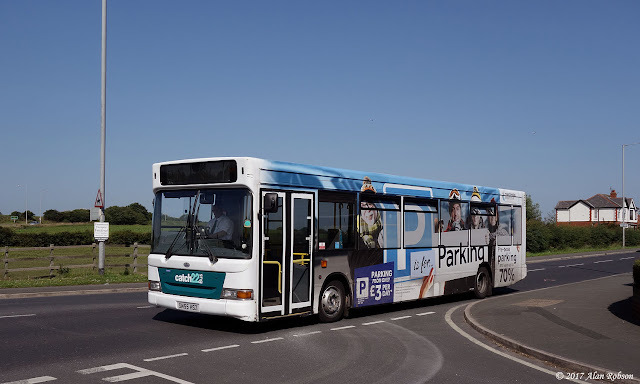 Catch22Bus have recently taken delivery of several more long Dennis Darts, to replace some of their older short MPDs. 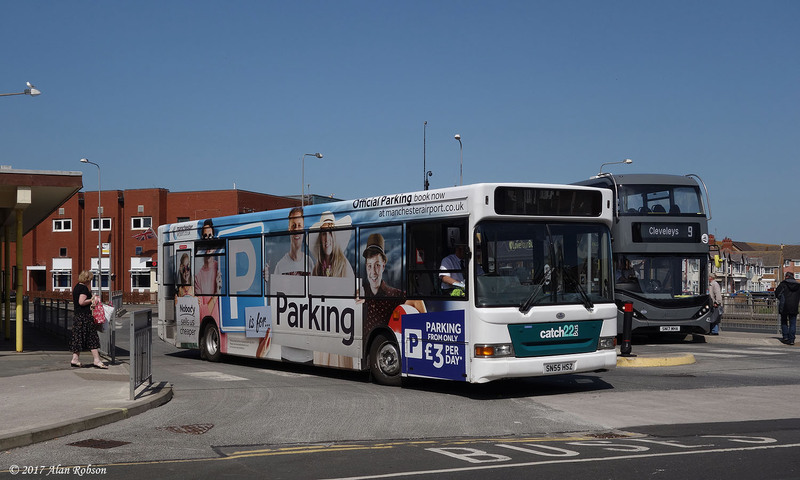 Noted in service this week was SN55 HSZ, new to Manchester Airport in 2005 and still wearing their full all-over advertising livery. Spotted in service today was orange Dart Y381 GAX, new to Cardiff Bus in 2001. The annual Fleetwood Transport Festival was held this year on Sunday 16th July. 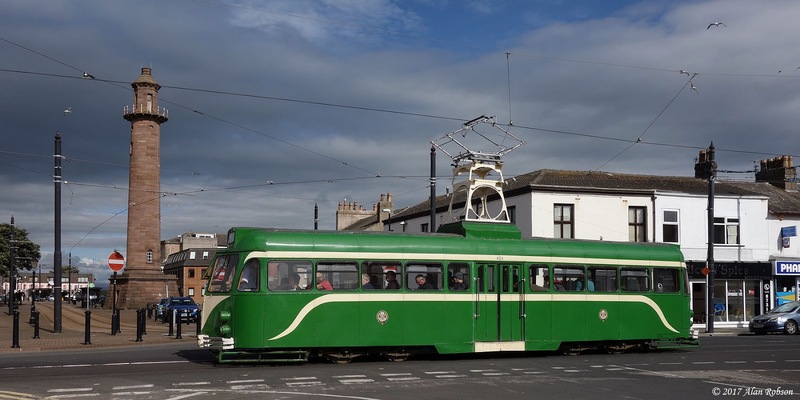 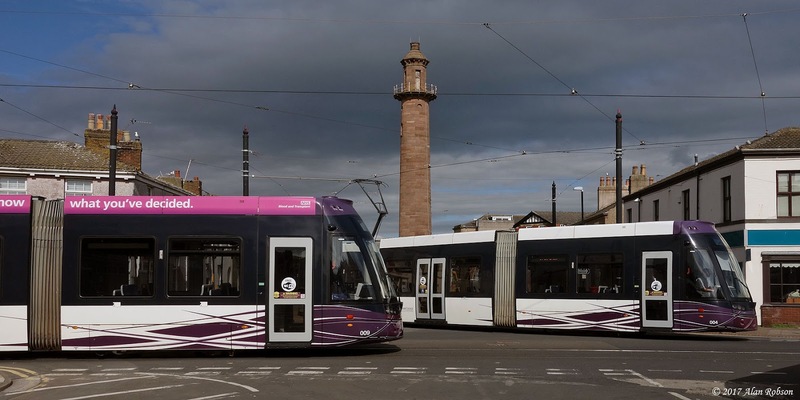 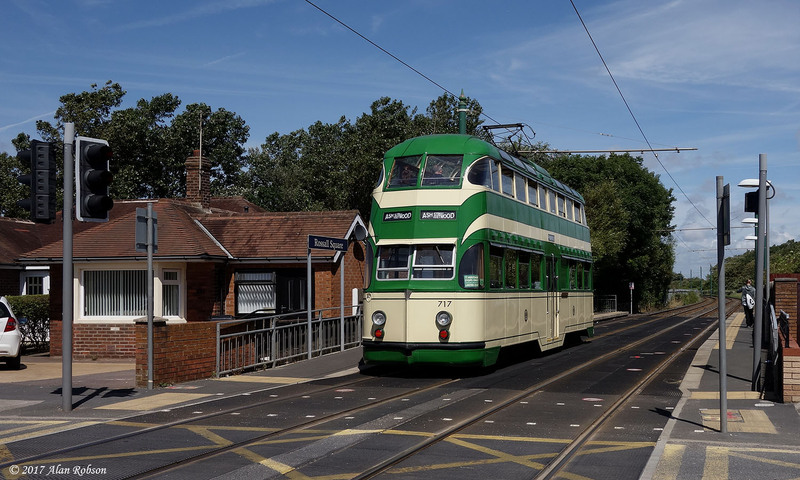 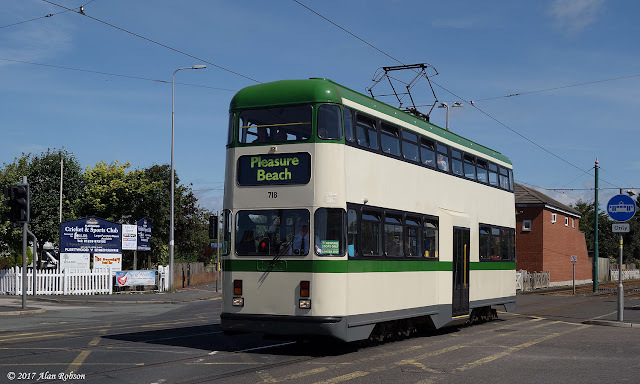 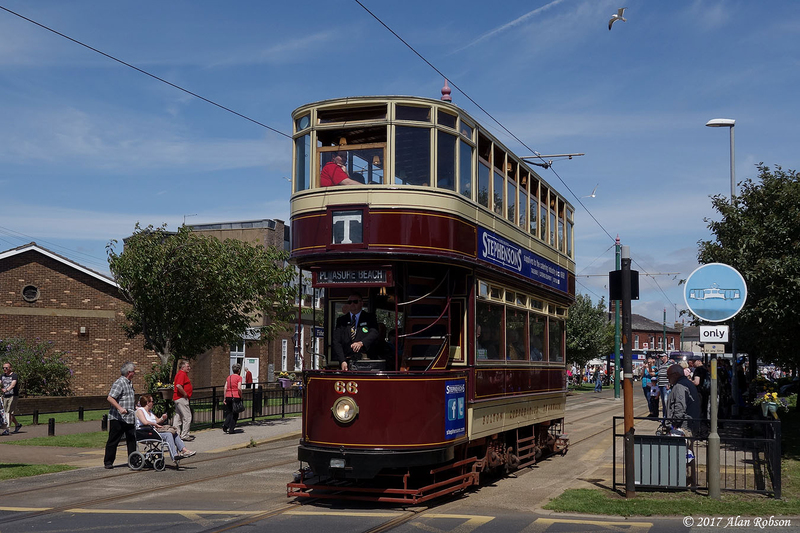 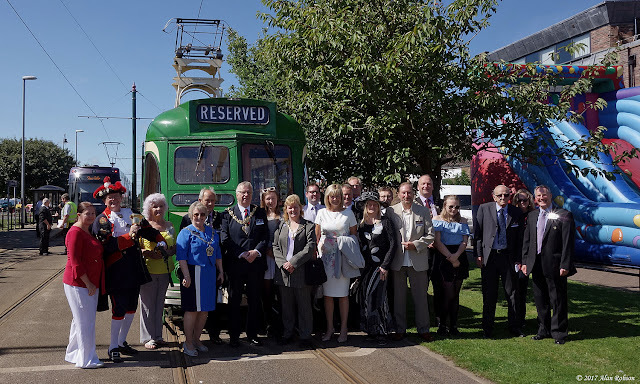 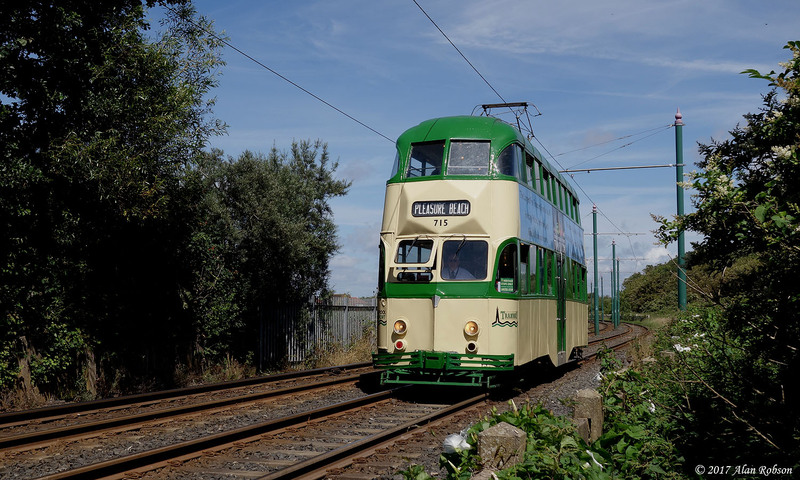 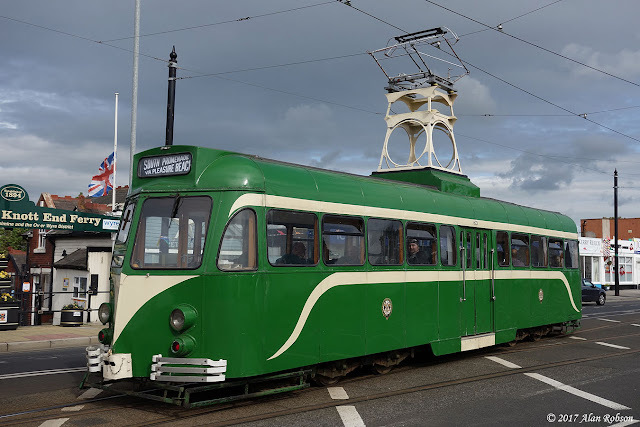 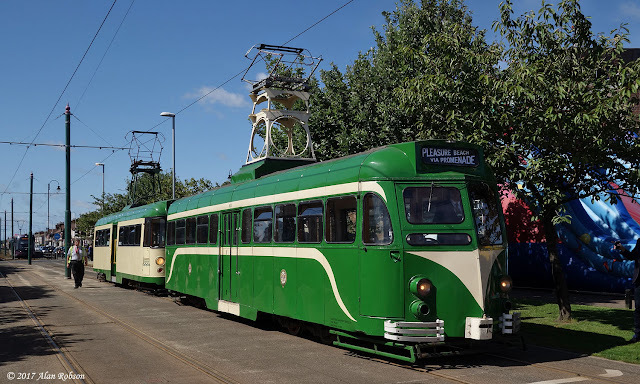 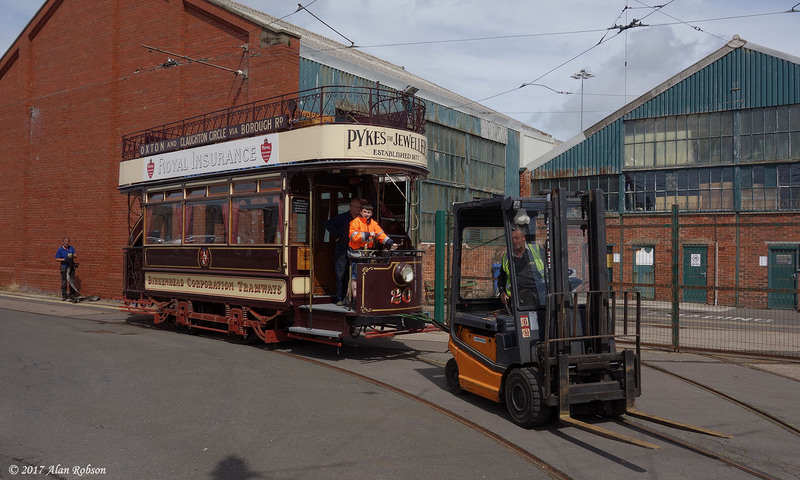 The event, more commonly known as Tram Sunday, saw an enhanced tram output from Blackpool Heritage Tram Tours, who operated an all day service from the Pleasure Beach through to Fisherman's Walk in Fleetwood. Trams in use on the Sunday were Bolton 66, Brush 623, Railcoach 680 and Balloons 715, 717, 718 and 723. 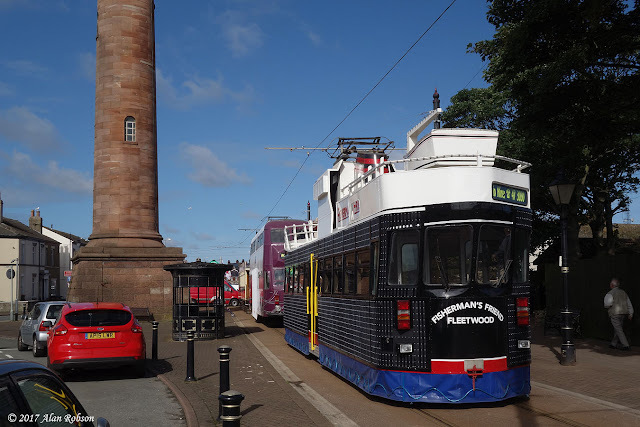 A static display of trams was parked up in Pharos Street throughout the day, these being Box Car 40, Balloon 711 and Trawler 737. 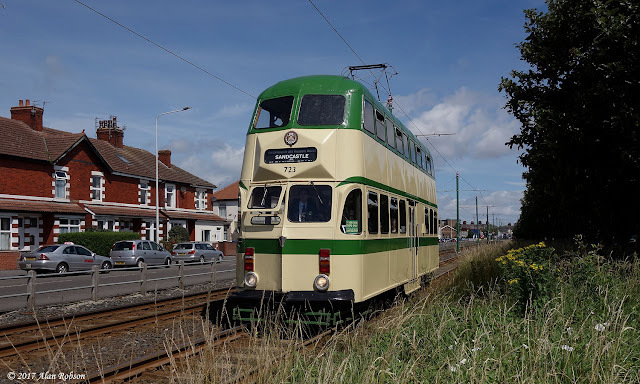 Blackpool Heritage Tram Tours ran an evening tour of wartime liveried Brush Car 623 on Friday 14th July, to celebrate its launch back into passenger service in the resort. Brush 623 is currently on loan from the Heaton Park Tramway in Manchester, to coincide with the 80th Anniversary of the Blackpool Brush Car event which is taking place over the weekend of the 23rd and 24th of September. 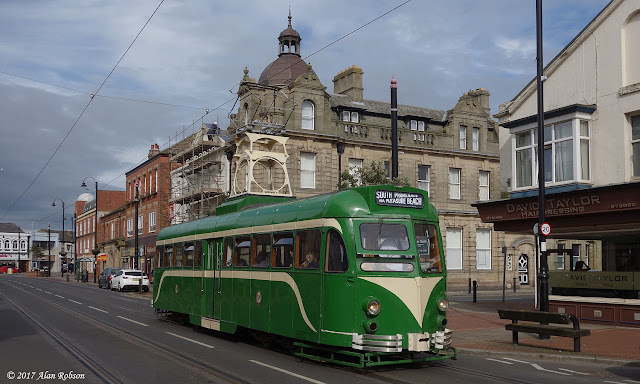 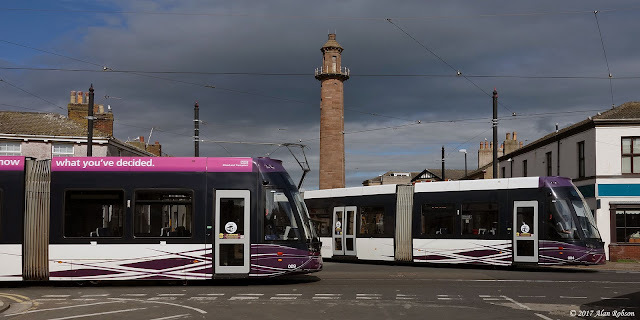 A chance meeting of two of Blackpool's Flexity 2 trams passing each other at Pharos Street in Fleetwood provided an opportunity for an interesting photograph on Friday 14th July. 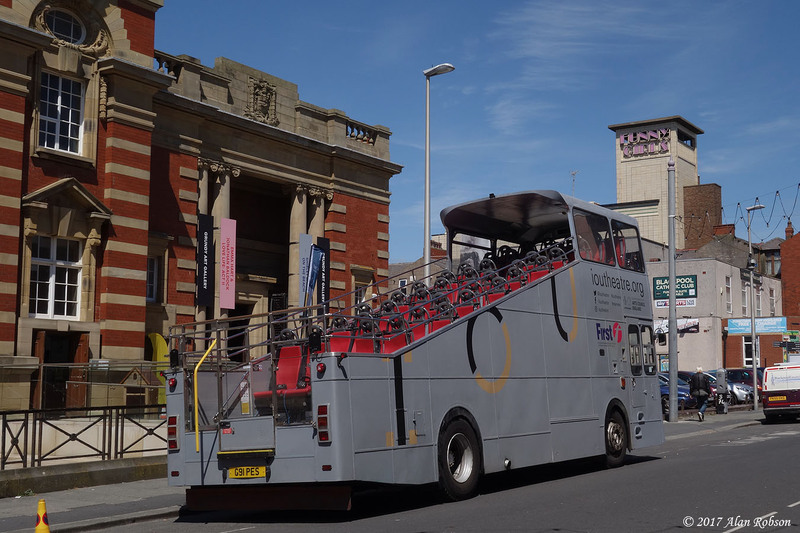 A rather strange looking bus was seen on the streets of Blackpool this week. 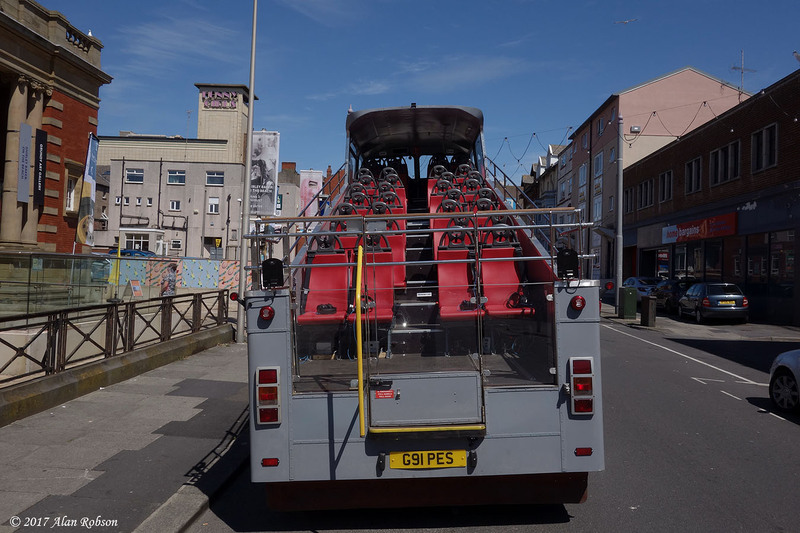 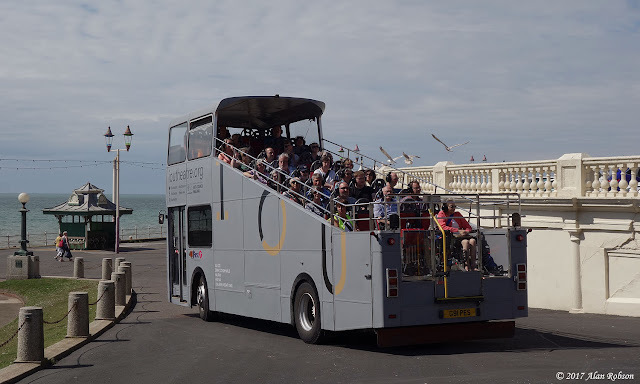 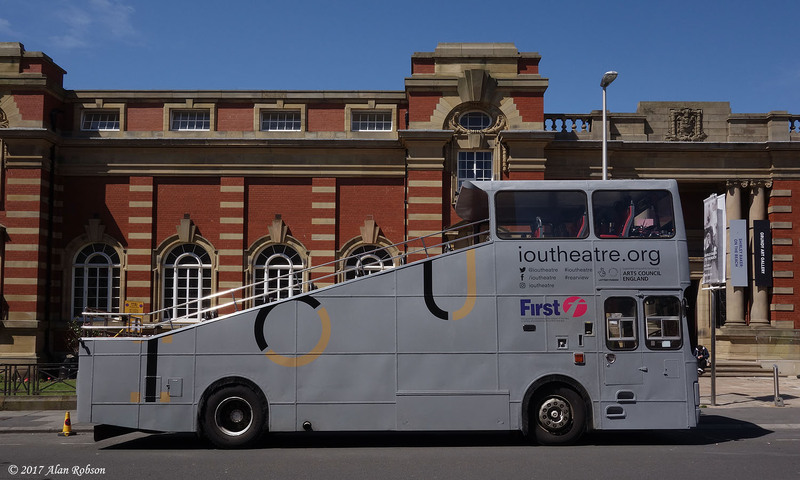 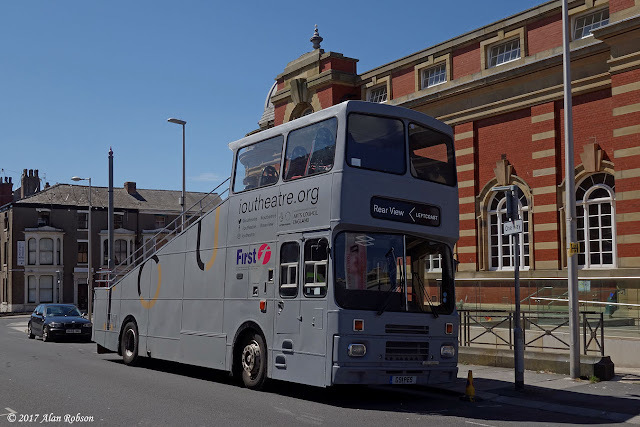 The vehicle is the Rear View open-top theatre bus, which is currently touring the streets of Blackpool with daily performances being given by poets from the LeftCoast arts group. 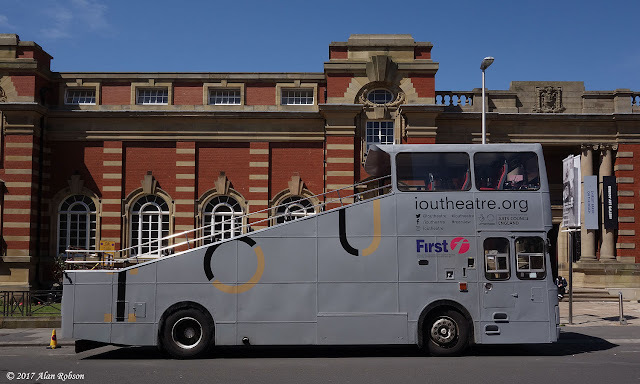 The theatre bus was converted from Alexander bodied Volvo B10M Citybus G91 PES, new as Tayside 91 of Dundee in 1989.